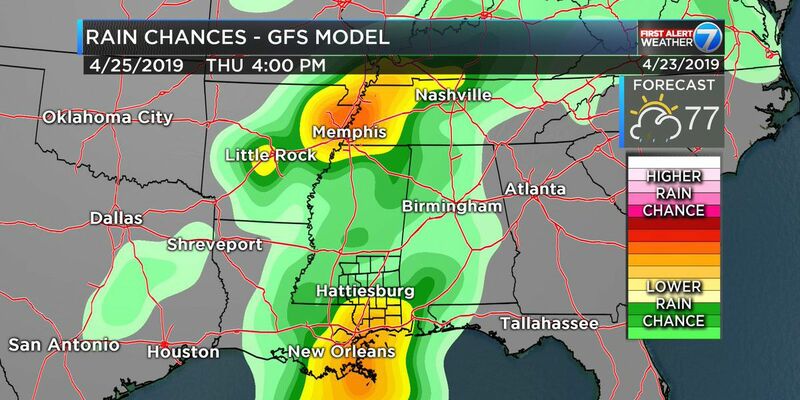 PINE BELT, MS (WDAM) - Clouds will continue to increase Tuesday afternoon and evening. We may be able to squeeze out a shower or two, but for the most part we will remain dry tonight. Wednesday will be the opposite: quite soggy. A front will glide through in the morning and leave us with on-and-off showers through the afternoon. Up to an inch of rain is anticipated across the area. 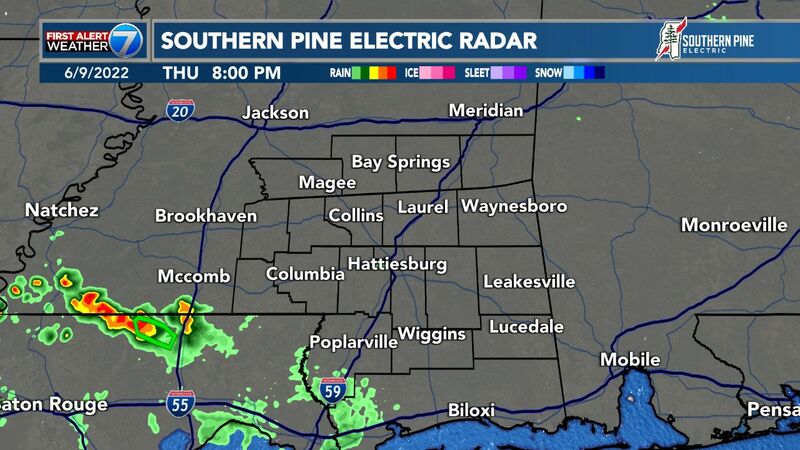 Rain chances are running between 80 and 90 percent. After the front moves through, a northwest wind will funnel in cooler air. Highs will be around 65, but most of us will hit our high around lunch and be rather chilly by afternoon. Thursday the area will wake up with a mixture of sun and clouds with temperatures around freezing. Highs will be around 50 to 55 with a north wind at 5 to 10 mph. Friday through Sunday should remain mainly dry. There is a slight chance for a shower Saturday and into Sunday, but the chance is looking pretty slim. Temperatures will be in the 50s for highs and around freezing for lows each day. Next week another front shows up on Tuesday with another shot for rain and cooler weather.